﻿ Need Impact protection? Order easily at JekaShop! Impact protection provides additional safety. 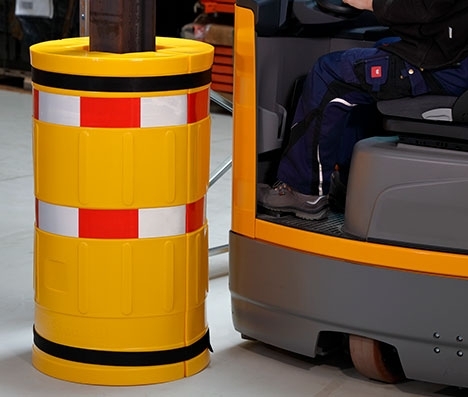 Impact protection makes it easy to protect a building or machine from damage resulting from collisions, for instance a forklift that runs into a rack or pillar in a warehouse. Impact protection helps to protect these vulnerable structures. 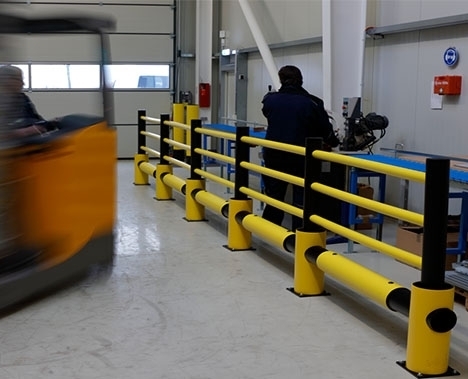 But impact protection can also provide safety to people and machines, for instance by cordoning off walking aisles. Impact protection is available from Jeka in both plastic and steel variants. Naturally it is important to protect racks from impact damage, not only to protect the racks themselves, but also to prevent the goods stored on the racks from getting damaged. At JekaShop you will find everything you need to efficiently protect your racks. To protect the corners of the rack we have steel corner protection guards. 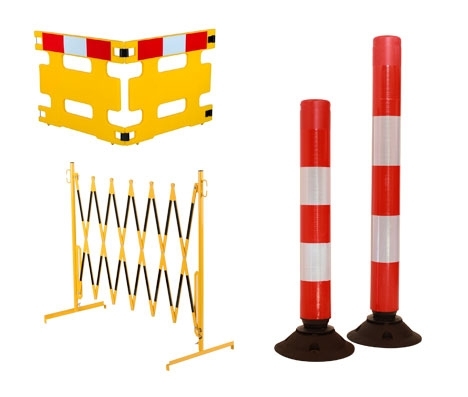 These protect both sides of the corners of pillars and racks against impacts and the bright colours increase visibility. For the supports in the middle of the racks we have the D-flexx Alfa Rack Guard. 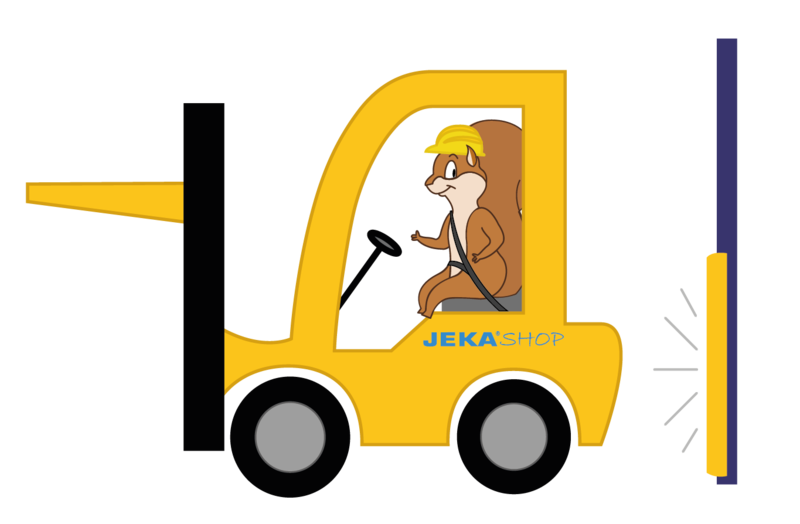 JekaShop is also the place to get items for protection against collisions from trucks and vehicles. Warehouse protection comes in many forms. You decide how and to what degree you wish to protect your machines, racks, vehicles, buildings and staff against collisions. At JekaShop you will find many types of high-quality impact protection. Not only for inside your warehouse, but also for the area outside and around the warehouse. Plastic impact protection has the advantage of being suitable for any environment, both outdoors and indoors. At JekaShop you will find plastic impact protection from various top brands. 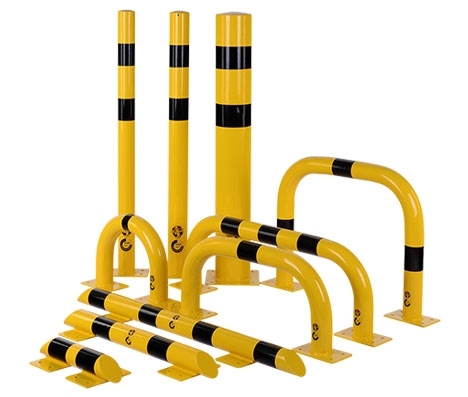 For instance, the flexible plastic impact protection from D-flexx and the powerful crash protection bollards, bars and beams from Rambowl®. 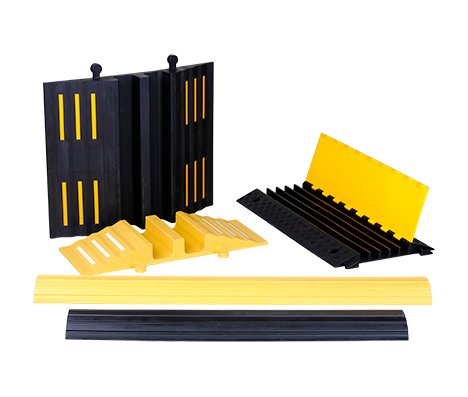 We have also expanded our selection with flexible foam bumpers. 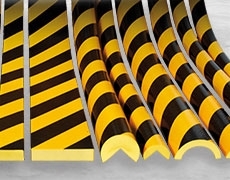 These protect corners, edges and pipes against incidental or light impacts. The bright colours of these bumpers also help as signals, which in many cases even prevents collisions. A wide range of steel impact protection at JekaShop. Solid protection, both inside and outside the warehouse.